In the middle of what is being called the great Pippin move of 2014, Justin and I found ourselves at Villains Unleashed, a hard ticket event at Disney’s Hollywood Studios on August 23. We were both pretty excited, we had heard some interesting things from the year previous, and we were told some of our favorite Disney villains would be there. So we went, here’s what we experienced. Like Mickey’s Not So Scary Halloween Party, we could enter the park with our event tickets beginning at 4 p.m. with the party starting at 8 p.m. We arrived at about 7 p.m. to find they were completely out of event maps. We weren’t phased, however, so we pulled up the My Disney Experience App where all the event data was stored. We eventually stumbled across a park map while in line for food later in the night, so everybody won. The first thing we experienced was the opening show which, to put it simply, was 30 minutes of naming villains. There wasn’t much to it and we were pretty over it after the first 10 minutes. 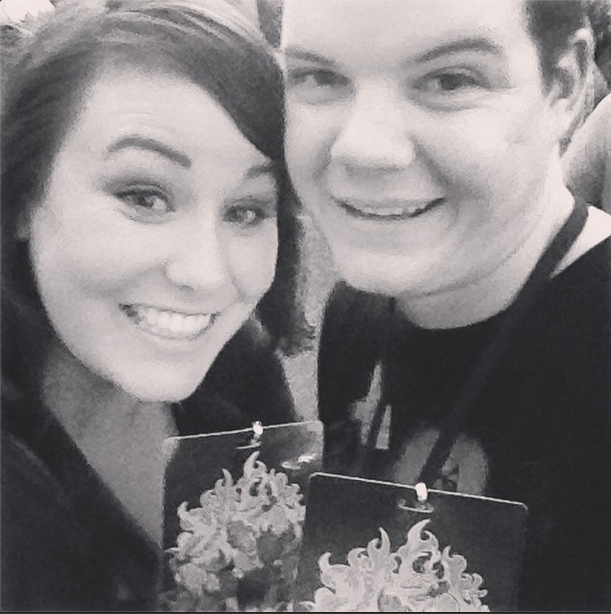 But we used the time to take selfies with our sweet entry badges. 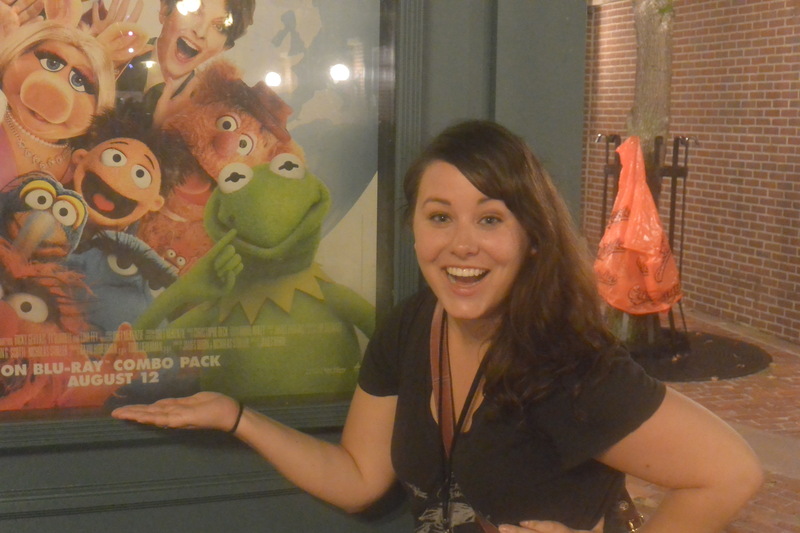 Immediately after the show we ran–literally ran–to the line to meet Constantine from Muppets Most Wanted. Fact: I LOVE Kermit the Frog. I fangril when I see him, he makes me so happy. So when I learned that Constantine was going to be there and would be interacting with people, my fragile mind thought of it as me meeting Kermit and decided I totally needed to do it. I pulled out my phone and realized it was 9:30 with the party ending at 12:45. I look at Justin and he shook his head. We both agreed that after a hard ticket of $70+/per person we wanted to experience much more than waiting in a line for most of it. 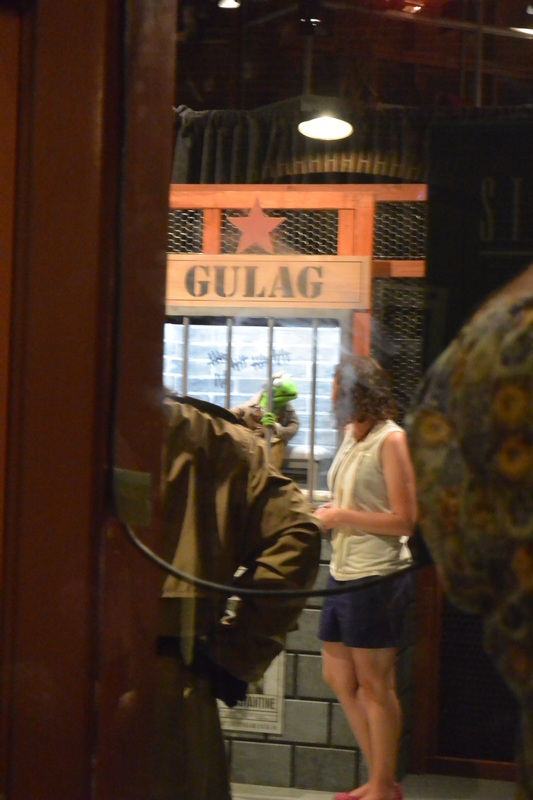 In actuality, this is how close I actually got to Constantine/Kermit. Sad day. We moved on over from the Muppet area of Disney’s Hollywood Studios to the Star Wars area where Justin quite literally bumped into Jango Fett. I’ve never seen him so happy in all the time we’ve been together, it goes right up there to when he met Boba Fett/Darth Vader and Captain America earlier this year. After bumping into Jango, we headed over to the Guardians of the Galaxy Awesome Mix Tape Dance Party. I was super excited about this after reading about it on the Disney Parks Blog as this was the first time Marvel characters would be meeting Guests on Walt Disney World property. Starlord and Gamora made appearances. I was secretly hoping Starlord would be Chris Pratt (*swoon*) and there would be a little dancing Groot–neither was there– but I was pleasantly surprised with the event! Can’t wait to see more Marvel characters in the future! From the dance party, we headed over to Club Evil which was easily one of our favorite things of the night. The Hollywood Brown Derby was made over into a speakeasy-style, cabaret show with small plates and some killer cocktails. I enjoyed the One Bad Apple (Gentleman Jack Tennessee Whiskey, Sour Apple Liqueur and Cranberry Juice topped with a souvenir poison apple glow cube) and Justin had the Deep Sleep (Jameson Irish Whiskey, BOLS Peach Schnapps and sweet-and-sour with a splash of ginger ale garnished with whiskey-soaked peaches). Together we shared the Evil Twin, not pictured because we downed them pretty quickly. This was a sweet & spicy duo of Patron Silver. One mixed with Midori and adorned with a gummy worm, the other with Absolut Peppar and candied jalapenos. This was easily the best deal of the night as it was essentially two double shots of Patron for $10.50. After our libations at Club Evil, the night was beginning to wind down. We popped over to Star Tours again and got in line for Boba Fett who’s line was moving really quickly. When we got to the front Boba was directly in front of us. I told him, “I don’t know which one of us is more in love with you,” to which Boba took me by the hand and put Justin in a pair of stun cuffs. Pretty amazing stuff. Were you at Villains Unleashed? What was your favorite part? For more Disney Vacation fun, visit the Travel tab.